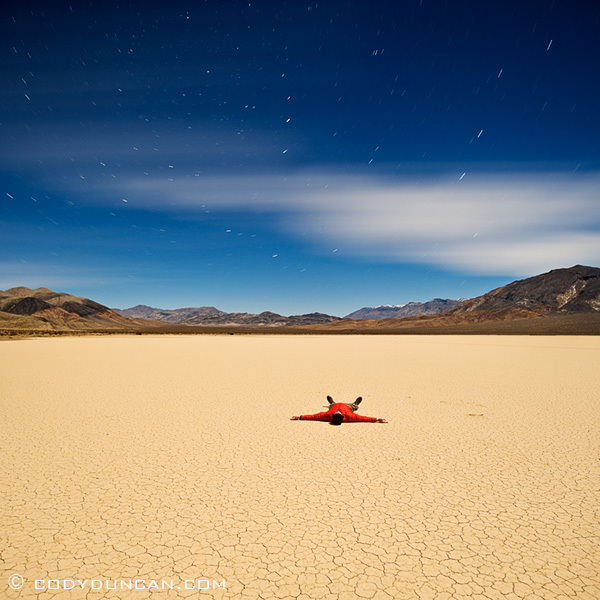 5 minute self portrait on a cold night under a nearly full moon out on the playa at the Devil’s Racetrack in Death Valley national park, California. 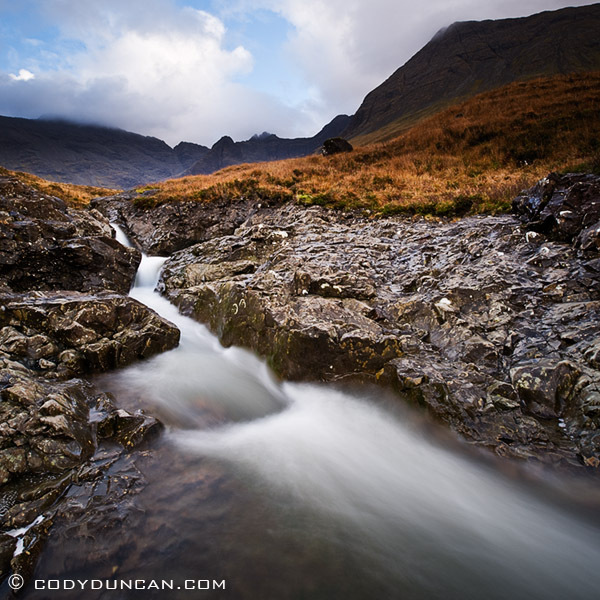 I took two seperate 5 minute exposures with the Nikon 24mm tilt-shift lens to get the ‘square’ format. One upper, one lower. No tricky Photoshop needed. I had my stopwatch going to measure the exposure but since I was afraid to move my arm and risk putting it back in a slightly different location I had to count in my head as best I could. When I got to 5 minutes in my head I took a peak at my watch, 4:57, and quickly ran back to the camera. Pretty good internal clock. I could have left the scene earlier, but some ghosting would have occurred as I was gone a greater percentage of the overall exposure, so I wanted to remain as close to the full 5 minutes as possible. 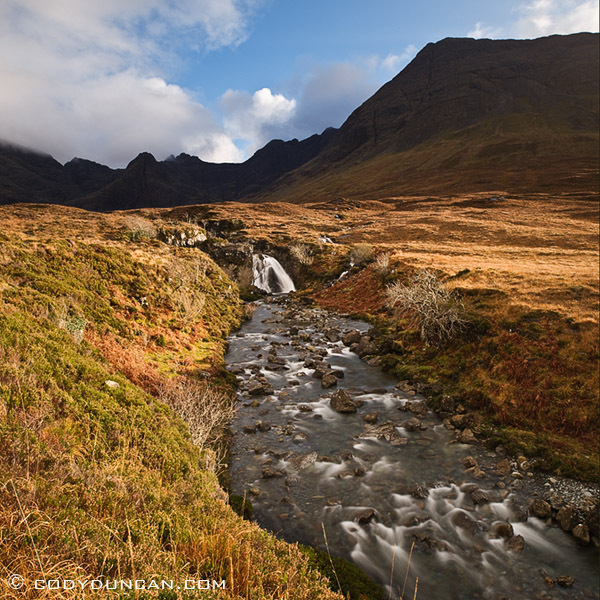 River at Coire na Creiche, Glenbrittle, Isle of Skye. 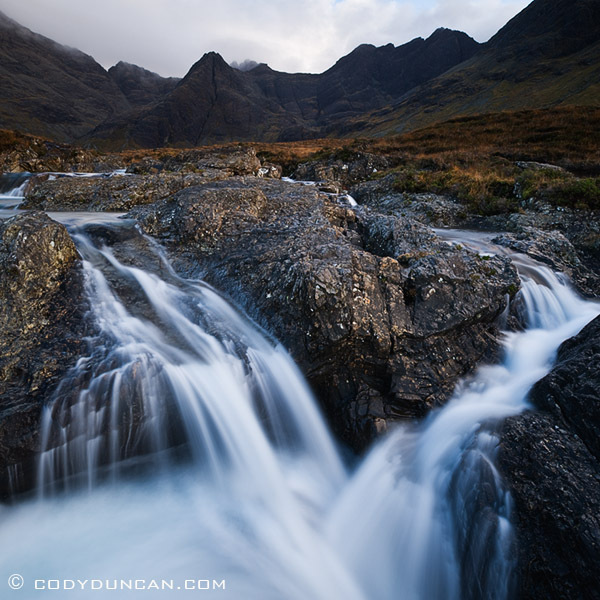 Better known as the location of the ‘Fairy pools,’ a series of crystal blue pools of water and waterfalls flowing out of the rugged peaks of the Black Cuillins. It had been raining for a week strait prior to my visit so the ‘pools’ were are bit more like rapids than normal, but at least I got lucky with a bit of sun on a short November day. 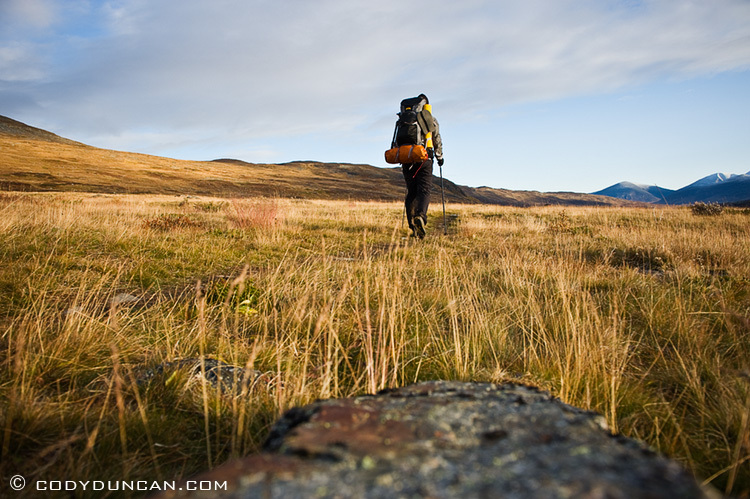 I’ve created a image gallery from my hike on the northern section of the Kungsleden trail in Swedish Lapland. Weather was pretty bad – Sept 17 was the first day I was snowed on – so most of the pictures are of clouds. When I go back again one of these years, I think I would like to be there for the beginning of September. Though I was told that the autumn/winter came early last year and that it was colder than normal, so maybe I just had a bit of bad luck. Still, it’s an amazing place so I would not complain about going back and wandering around for a few weeks.